The randomized-controlled investigation featured a comparison of true acupuncture with sham acupuncture, including effective binding lasting the entirety of the clinical trial. True acupuncture produced a 2.7% improvement in sleep efficiency, measured by actigraphy. True acupuncture was effective for both mTBI patients with or without PTSD. Sham acupuncture did not improve patients’ conditions; in fact, patients receiving sham acupuncture worsened by 5.3%. Acupuncture has been shown to improve the condition of patients with other sleep disturbance etiologies. Researchers find back-shu (beishu) acupoints plus Shenmen (HT7) effective for the alleviation of menopausal insomnia. Researchers from the Asian Sports Village Community Health Service Center (Beijing) and the Beijing Tibetan Hospital of China Tibetology Research Center (Beijing) conclude that acupuncture is more effective for the alleviation of menopausal insomnia than alprazolam (a benzodiazepine anti-anxiety drug). Three weeks of care comprised one course and three courses of care were administered. During the same period, the drug treatment group received oral alprazolam (0.4 mg–0.8 mg) prior to sleep. The results were evaluated 30 days after completion of all treatments. The total cohort size was 128 menopausal patients with a diagnosis of insomnia. Another important finding concerning acupuncture for the treatment of insomnia was produced by a research team comprised of University of Pennsylvania (Philadelphia), Memorial Sloan Kettering Cancer Center (New York), and Memorial University (Newfoundland and Labrador) researchers. This study was specifically designed to measure the effects of electroacupuncture on female breast cancer survivors with hot flashes and insomnia. The research team concludes that acupuncture significantly improves sleep duration and sleep latency (the length of time transitioning from wakefulness to sleep). Moreover, the researchers discovered hot flashes and insomnia are bidirectional. Improvements in sleep produce reductions in hot flashes and vice versa. The study included a drug control group. Acupuncture significantly outperformed gabapentin and venlafaxine. Acupuncture was significantly more effective than the drugs in improving sleep duration, latency, and efficiency, and was also more effective for reducing sleep disturbances and daytime dysfunction. Additionally, acupuncture did not produce the adverse effects that were caused by the drugs (dizziness, fatigue, ataxia, dry mouth, constipation, headaches). The clinical trial was supported, in part, by a grant from the US National Institutes of Health. Patients received acupuncture 2 times per week for the first 2 weeks. Next, weekly acupuncture treatments were administered for an additional 6 weeks for a total of 10 acupuncture treatments over 8 weeks. Acupuncture point prescriptions were selected on an individual basis per differential diagnostics. Manual acupuncture techniques were applied to obtain deqi. Electroacupuncture (EA) was applied between 2 acupoints with a 2 Hz frequency setting. The specific points were not detailed in the report. 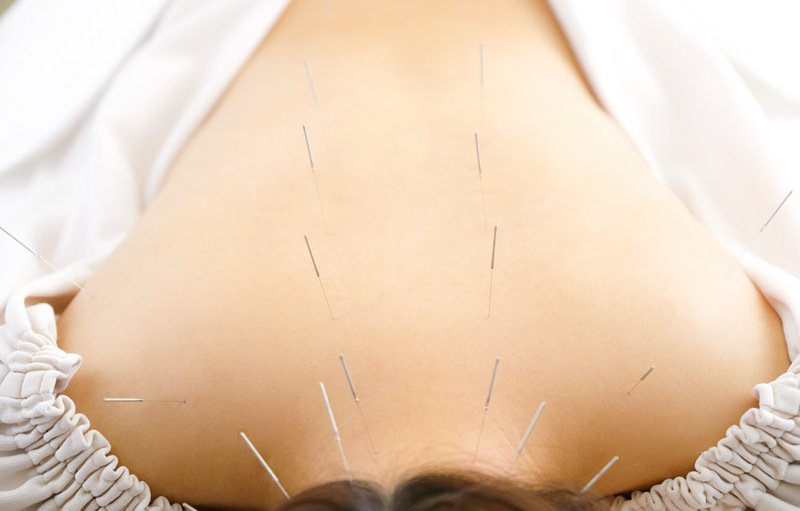 Needles were retained for 30 minutes for each acupuncture treatment. Insomnia affects approximately 30% of the adult population. Given the results of the aforementioned research, acupuncture is a reasonable treatment option for the treatment of sleep disorders. Prospective patients are advised to consult with licensed acupuncturists to learn more. Huang, W., Johnson, T., Kutner, N., Halpin, S., Weiss, P., Griffiths, P. and Bliwise, D., 2018. Acupuncture for treatment of persistent disturbed sleep: A randomized clinical trial in veterans with mild traumatic brain injury and post-traumatic stress disorder. Annals of Physical and Rehabilitation Medicine, 61, p.e89. Li, O., and F. Wang. “Acupuncture at back-shu points of five zang, Geshu (BL 17) and Shenmen (HT 7) for the treatment of menopausal insomnia.” Zhongguo zhen jiu= Chinese acupuncture & moxibustion 38, no. 5 (2018): 4693. Garland, Sheila N., Sharon X. Xie, Qing Li, Christina Seluzicki, Coby Basal, and Jun J. Mao. “Comparative effectiveness of electro-acupuncture versus gabapentin for sleep disturbances in breast cancer survivors with hot flashes: a randomized trial.” Menopause 24, no. 5 (2017): 517-523. Roth, Thomas. “Insomnia: definition, prevalence, etiology, and consequences.” Journal of clinical sleep medicine: JCSM: official publication of the American Academy of Sleep Medicine 3, no. 5 Suppl (2007): S7.